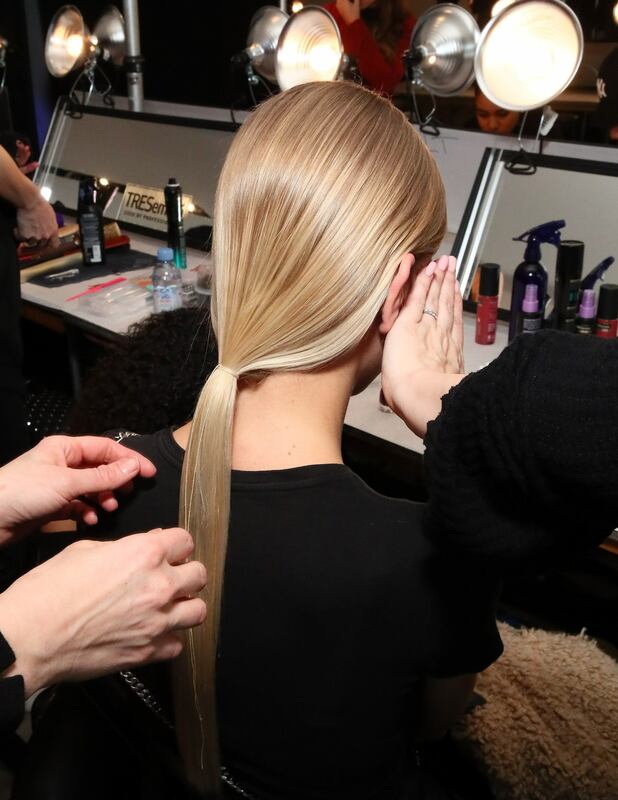 Who knew making a ponytail more elegant was this easy? One thing we love about NYFW is its ability to take styles we are familiar with and elevate them to a level of high fashion. 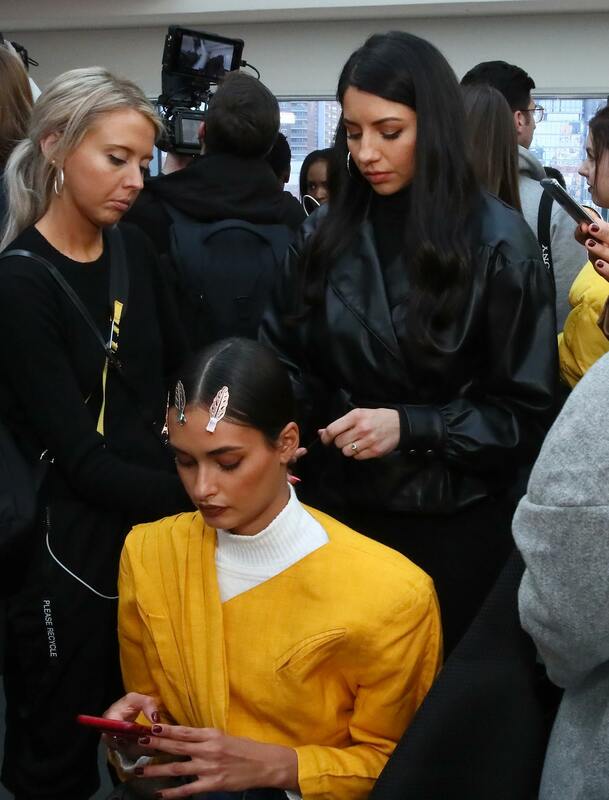 At Cushnie‘s F/W 19 show, we saw TRESemmé Global Stylist, Justine Marjan, take a simple low ponytail and turn it into an elegant tied pony. The hair tie for the ponytail? A piece of string. 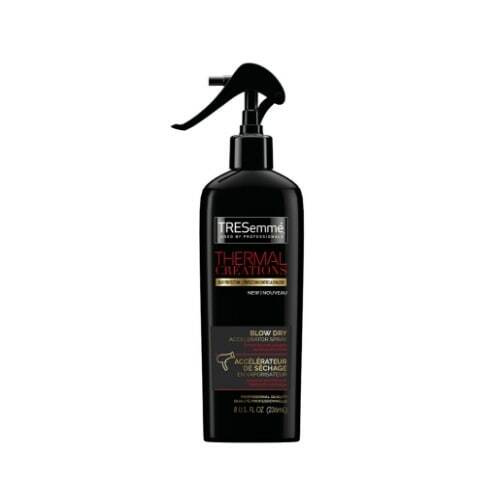 Step 1: Prep Hair by spritzing TRESemmé Thermal Creations Blow Dry Accelerator Spray throughout to protect tresses from heat styling. Step 2: Blow dry hair straight with your choice of straightener and a boar bristle round brush. 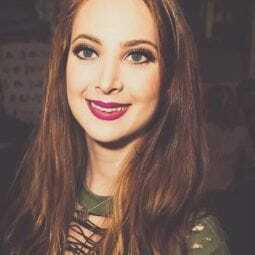 Real Girl Tip: This style is all about making sure your hair is completely smooth and frizz free, so take your time when blow drying! Go slowly down each section of hair and turn your heat down to low. Step 3: Flat iron thin, horizontal sections of hair from roots to ends. Step 4: Use a small toothbrush or detailing brush to direct the hairline around the face. Use a brush to loosely gather hair at the nape of the next and tuck hair behind ears. Step 5: Pull Hair into a low ponytail and use a piece of string to tie a knot and secure your elegant tied ponytail. The two pieces of string should lay on top of the hair, and be the length of the ponytail. 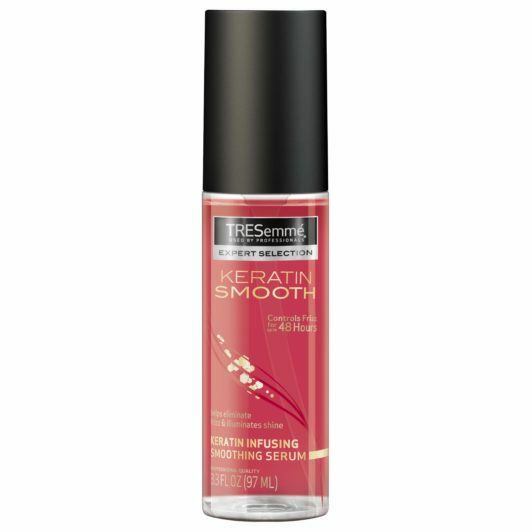 Step 6: Apply a few pumps of TRESemmé Keratin Smooth Shine Serum to hands and run them through the length of the ponytail to add shine and tame frizz. 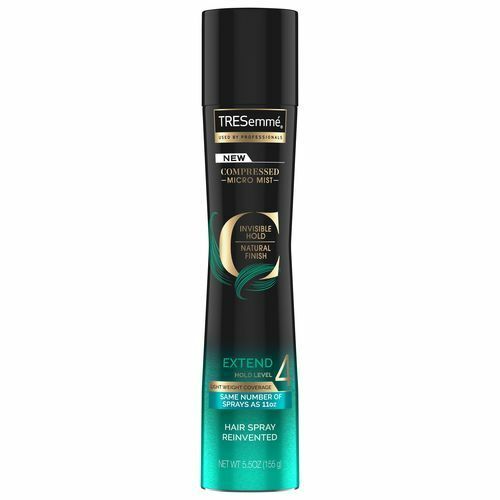 Step 7: Finish by misting TRESemmé Compressed Micro Mist Hold Level 4: Extend Hair Spray all over for style without stiffness. 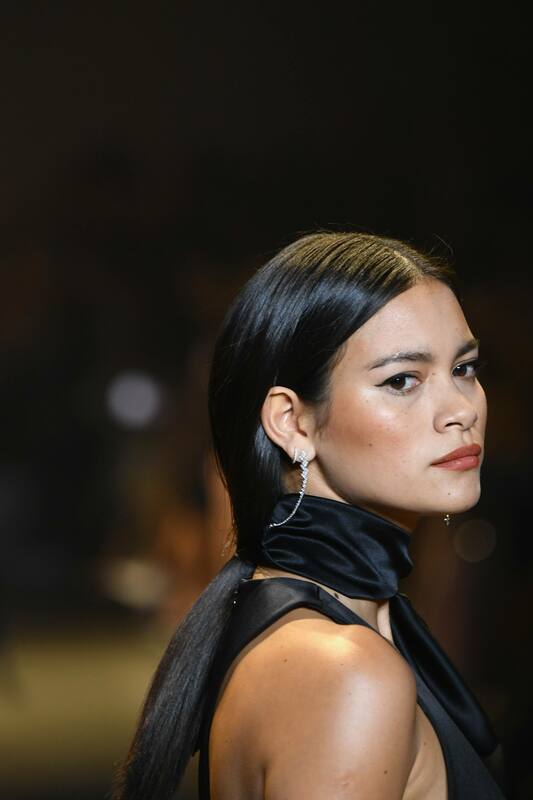 check out more ponytail styles we are loving!